This Zeiss Master Anamorphic lens series offers a relatively small size, lite weight, fast aperture speed and exceptional optical design. When it comes to breathing, warping and other common character flaws in anamorphic lenses, you’ll find few with the Zeiss. But also lovely Bokeh against the backgrounds and a very smooth sharpness rendition, and the common oval shaped highlights. Some of the other features worthy of note, are very low distortion, the lines stay straight. No darkening towards the corner or sharpness common with many other Anamorphic Lenses. Fast aperture of 1.9 throughout the series allows very slim depth of field or just an ability to shoot in very low light. 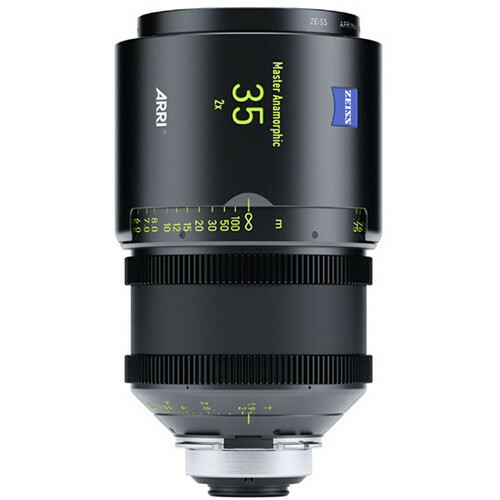 Many other Zeiss Master Anamorphic Lenses have the 4.5 rule, where the lenses performance drops off considerably when getting closer to wide open, but not with theses Anamorphic primes, they look nearly the same wide open as stopped down to 4.0!